Whether you watched the ball drop at midnight or tucked yourself in early (me! ), welcoming a new calendar year gets me thinking about concepts of TIME and preschoolers. Here is something I’ve noticed. At Weekday School, January is the TIME of year we open registration for the upcoming school year (2018-19) to current 2 Day, 2 Plus, and 3 Day students. I encourage you to save your spot before the January 31st deadline. After that time, we open enrollment to our waiting list and the community at large. Find the enrollment link, and tuition/fees below. This is also the TIME of year we begin recruiting for our 18-19 Advisory Board and Fun Fair Committee. If you are a parent who is interested in getting more involved (without being overwhelmed!) at Weekday School these are fantastic opportunities. Watch your child’s school bag and email for more details soon. 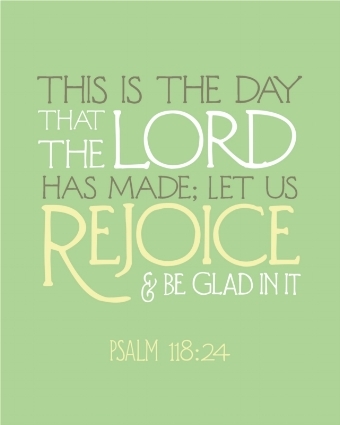 One of our favorite songs at Weekday School is “This is the Day” based on Psalm 118:24. It reminds us that each day is a gift from the Lord. My prayer for our school family is that we would receive the minutes, hours, days of 2018 with gratitude and BE PRESENT in each moment with the world’s most loveable preschoolers!